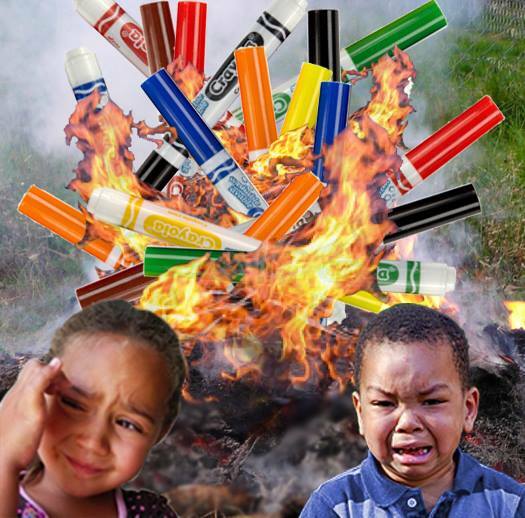 Crayola has betrayed the students and teachers who are dutifully collecting their plastic markers, thinking they're being recycled through Crayola's ColorCycle program. In fact, Crayola admits that their markers are not recyclable and sends them to be burned in trash incinerators, and has been experimenting with polluting "plastics-to-oil" projects that have generally been failures. Trash incineration is the most expensive and polluting way to manage waste or to make energy. It is NOT recycling, and despite a lot of public relations about trash burning being "renewable energy," it's actually dirtier than coal, and worse for the environment than landfills. Toxic ash from incinerators just makes landfills worse. Please see www.energyjustice.net/crayola for more information, and please take a moment to sign the letter below to ask Crayola to do better. Thanks! Five years ago, over 90,000 people called on you in a student-led petition to take back Crayola plastic markers to be turned back into new Crayola products. The petition asked you to "take the lead and show the world that you care about keeping plastics out of landfills, incinerators and oceans," pointing out that "when plastics are sent to landfill, or burned for electricity, or washed into oceans, they pollute Earth." I'm disturbed to learn that since the creation of the Crayola's ColorCycle program soon after, in 2013, Crayola has not been recycling any of these collected markers. Instead, your company has apparently been burning some in trash incinerators, and has been sending the rest to experimental plastics-to-fuel projects like the failed JBI facility in Niagara, New York. Trash incineration is not recycling, but the destruction of valuable resources. It is not clean, renewable or low-impact, as your company claims. In fact, EPA data shows that it's dirtier than burning coal. For every 100 tons burned, 70 tons become air pollution and 30 tons become toxic ash that makes landfills more dangerous. Plastics-to-oil (pyrolysis) facilities, as you've found out, are experimental and rarely work. Like incinerators, they still make solid waste that must be landfilled, and pollute the air at the plant, and in the fuels ultimately burned. Your website says your company believes that "every child should have a healthy planet." I agree. actually recycle the markers you collect.